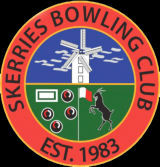 Welcome to Skerries Bowling Club. The clubhouse and green is in the town park at Tennis Court Lane adjacent to the carpark of SuperValu which is on Church Street. Postal code: K34 W028.